Nicholas Thayer is getting an early start on his goal for a career in the sciences, as one of a select group of ten college students from across the United States participating in the National Science Foundation Research Experiences for Undergraduates (REU) Program at Rutgers University?Camden this summer. 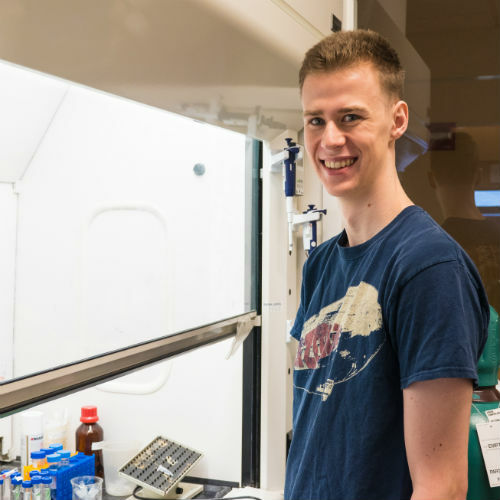 Thayer, a rising junior at Reed College in Portland, is conducting research for ten weeks in the lab of Nir Yakoby, a Rutgers?Camden associate professor of biology and director of the Center for Computational and Integrative Biology (CCIB). Thayer is researching a process in the ovaries of flies by which certain cells have more than one nucleus. The research is important in not only in understanding flies, but other species as well. The NSF grant establishes Rutgers–Camden’s CCIB as an REU site, in which a group of undergraduates work within the established research programs of a host institution. The students live and work on campus during the ten-week program, and receive room, board, and a $5,000 stipend, which allows students that would not normally have the opportunity, the ability to gain critical experience in the process of scientific research. The Computational Biology Summer Program introduces participants to an integrated approach of conducting research, incorporating the biological sciences, mathematics, computer science, chemistry, and physics. 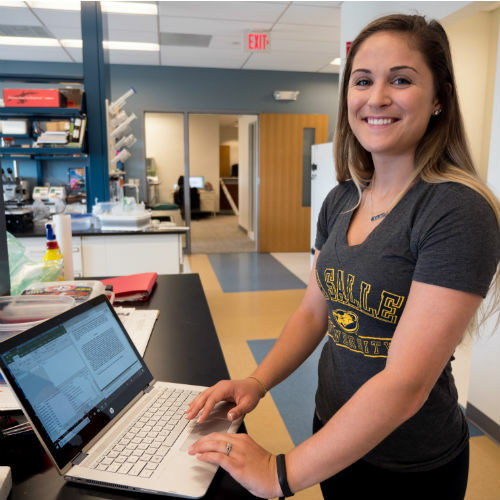 Based in the state-of-the-art labs at the Governor James J. Florio Center for Public Service, located at the Camden Waterfront, the students collaborate with graduate students including Katrina DeWitt, a Rutgers?Camden graduate biology student who is serving as the REU student mentor. 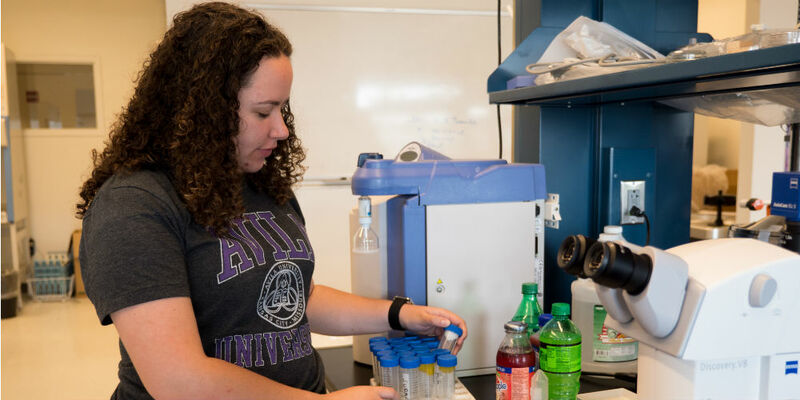 DeWitt participated in the REU program as a Rutgers?Camden undergrad, so she understands what the students are experiencing and can offer helpful advice and guidance. “I can definitely talk to pretty much anyone here about what they are doing, and be able to help them if they have issues or questions,” says DeWitt, a 2018 Rutgers?Camden alumna from Elk Township. The program helps students build confidence and gives them an opportunity to participate in major scientific research work, and helps direct them toward a STEM career. Chloe Casey, a rising junior at Avila University in Kansas City, Mo., is conducting her first field research project working with Amy Savage, an assistant professor of biology, in the streets of Camden to study the effects of an urban environment on ants and how the high-fat, high-sugar food discarded by humans and consumed by ants can change ant behavior and their predation. The principal investigator of the grant, Benedetto Piccoli, is the Joseph and Loretta Lopez Chair in Mathematics at Rutgers University–Camden, where he also serves as associate provost for research. Joseph Martin, associate dean for science, mathematics, technology, and health sciences, and a professor in the biology department, is the co-principal investigator.